In the B2B world, the success of our customers has a profound and direct impact on our own businesses. It’s only logical that if your customers are leveraging your products or services to achieve their goals, close deals, and ultimately make more money, that’s going to be a major contributing factor to your own recurring revenue stream. Plain and simple: if they like you – or better yet, if they love you – they’ll want some more of you. Whether your objectives as an organization are winning repeat business, inspiring subscription renewals, or maintaining and growing account retainers, it’s critical that your company is empowering its customers to use your product or service to its greatest capacity – and that you’re exceeding their expectations time and time again. But for most businesses, this isn’t exactly a walk in the park, is it? How are we – as executives, marketers, sales leaders – to make the client feel as though signing on the dotted line for a second, third, or nth time is not only a streamlined and comfortable process, but second nature, as if the alternative were simply out of the question? The answer is to adopt and embrace an effective Customer Success strategy. Fundamentally, all B2B businesses have a monetary incentive to want their customers to perform well. Throw human emotion into the mix and of course we want our partners in business to flourish! What you may not know, however, is that this idea of “Customer Success” has become a formalized and systematized concept (or, dare we say, an entire industry in recent years). And it shows no signs of slowing down. The textbook definition of Customer Success might go a little something like this: a structured and software-supported process for analyzing key customer health metrics, and applying this data to identify ways in which customers can more effectively use your product or service – all in the name of facilitating greater engagement and safeguarding customer retention. But frankly, what Customer Success boils down to is this: delivering exceptional outcomes and exceptional experiences – and being able to measure them. The one immutable fact for businesses is that today’s consumer is empowered and expects immediate answers and instant gratification. A report by Zendesk found that 82% of customers who switch brands do so because of poor service, and 70% of buying is based on how the customer feels they are being treated. Unlike the more reactive customer service and customer support, Customer Success is a proactive approach to ensuring your customers are not only happy but fully informed and enabled to realize the value of your offering, as well the ROI of your partnership. Now, “adopting a Customer Success strategy” may seem like a daunting task. And you’re right to assume this solution will require some serious time to plan and implement, especially if you invest in making it a company-wide commitment. However, the overall impact of your Customer Success program will dwarf your expenses in no time. And we’re here to assist! PMG is no stranger to Customer Delight, the final pillar of the inbound marketing methodology coined by our partners at HubSpot. This comprehensive guide is meant to help you better understand and operationalize Customer Success and build a framework for your own B2B organization’s Customer Success program – no matter what your industry. The Customer Success phenomenon is far from infancy in concept. Despite its recent explosion into the business world with a formal name tag in tow, pioneering the Customer Success movement was a series of technological improvements and shifts in business theory over the last 60-some-odd years. In the spirit of historical significance, let’s take a look at the various influencers that ultimately led to the birth of what we call Customer Success today. It wasn’t just miniskirts and skinny ties making their debuts in the ‘60s. The first call centers or Private Automated Business Exchanges (PABX) were established to handle large numbers of customer contacts and to address their respective needs. Meanwhile, the primitive ancestor of modern-day email was also hatched at MIT in 1965; it simply needed a more powerful network on which to run before it could really take off. Back in 1986, Conductor Software launched ACT, which is credited with being the first contact management software on the market. Despite heavy costs associated with investing in the on-premise system, as well as hiring IT employees and purchasing pricey hardware, this release sparked the consolidation of customer information in a digital format. What’s more, various business units (marketing, sales, customer service, accounting, etc.) were now synced on the backend and using the same integrated data. Our little email hatchling leaves its nest and finds a new home! AKA, the World Wide Web was invented by computer scientist Tim Berner-Lee, and email was truly able to spread its wings. Live chat support also started finding its bearings, and with the shrinking cost of computers, household technologies became more affordable to the average consumer and Internet usage was rapidly popularized. Oh, what a year! 1999 marks when the world-renowned book The Experience Economy, authored by Joseph Pine and James Gilmore, was published. This classic introduced new ideas about engaging with customers and securing their loyalty that subsequently served as a foundation for how we view customer experience and retention today. According to the duo, as product commoditization was normalized, differentiation on price disappeared and customers simply began wanting more; a superior product or service was no longer enough to guarantee success. Also in 1999, the first SaaS (Software as a Service) built from scratch to achieve record growth was launched – and wouldn’t you know, that SaaS was SalesForce! Concur has also been labeled the world’s first SaaS company (founded the year before), but they actually kicked off by selling floppy disks and CD-ROMs of travel and expense software. Microsoft hopped into the Customer Relationship Management ring in 2003, merging CRM capabilities with its primary products MS Office and Outlook to create its own CRM program – Microsoft Dynamics. As a whole, customer management software and data tracking were quickly becoming more sophisticated. Not to mention, having an online help desk to better serve customers became a normative practice. It’s clear that the SaaS and Customer Success industries have grown in tandem. Customer Success began taking shape, in part, because of the saturation of the SaaS market. With 7 out of every 10 companies paying for SaaS solutions, it really is no surprise that SaaS providers are finding the space increasingly crowded and competitive as more and more startups join the ranks in order to meet a vast sea of digital business needs. To some extent, this popularity may have arisen due to the number of unsuccessful on-site upgrade projects that have taken place in the past, particularly when you compare these blunders to the easy, breezy cloud-based SaaS product updates that continually occur without interruption to the service. That being said, a Totango report recently revealed that 50% of paying customers log in to their SaaS service less than once a month (or not at all). And only 17% log in on a daily basis! What?! It’s no wonder that churn has become such a weighty issue in the field. In fact, Chaotic Flow reports that the median churn rate for private SaaS small to mid-sized businesses with less than $10M in revenue is a whopping 20%. Yikes! Perhaps, the increasingly frequent rate at which renewal contracts are discussed is partially to blame. SaaS company contractual obligations are less and less likely to lock customers into paying an annual fee. More SaaS companies today offer a pay-as-you-go model, where the customer has a monthly opportunity to cancel a subscription, making it much easier to switch providers should the value of the product fail to present itself. @PMGTweets Chaotic Flow reports the median churn rate for private #SaaS businesses with less than $10M in revenue is a whopping 20%. Yikes! But high churn rates aren’t the only source of motivation to adopt a Customer Success strategy. Back in 2013, Bain & Co. found that just a 5% increase in customer retention rates could potentially yield profit increases anywhere from 25% to 95%! Of course, business owners understand quickly that the costs of acquiring a new customer dramatically outweigh those of retaining (9x greater) and upselling (4x greater) to a current one. According to Tomasz Tunguz, the median startup spends 92% of first year revenue on customer acquisition, taking about 11 months to pay back customer acquisition costs. But moving forward after year one with a customer, it’s almost all profit. And that highly profitable expense-to-revenue ratio is likely to continue for years if an effective Customer Success plan is put into place. With so much rivalry in the marketplace, competitive prices hacking at SaaS business model limbs left and right, and a large number of SaaS companies offering varying service levels (or even free versions in some cases), the way a company handles Customer Success becomes an important differentiator. But how does a business go about “handling Customer Success?” Enter the Customer Success Team. Take a look at the Google Trends data above. Note that the numbers represent search interest relative to the highest point on the chart for the given region (in this case, across the globe) and time (the last decade). Google tells us that a value of 100 is the peak popularity for the term. A value of 50 means that the term is half as popular. Likewise, a score of 0 would mean the term was less than 1% as popular as it was during its peak. Interest in the term “customer retention” has been consistently strong, but the peak for this term isn’t even on the chart; in other words, “customer retention” is past its prime. On the contrary, as of May 2017, searches on “customer success” are at an all-time high, and the shift over the last ten years is quite obviously a dramatic one. By managing relationships with each individual customer and helping them accomplish their specific goals with their products, SaaS companies were better able to retain customers. And thus, Customer Success quickly metamorphosed from being a nice-to-have into a SaaS startup necessity. Much to the delight of SaaS companies, a well-oiled Customer Success Team really does yield the desired results quickly. According to the 2016 SaaS Industry Market Report: Key Global Trends & Growth Forecasts, churn rates in the SaaS industry have actually decreased from 2015 to 2016, and interestingly, ChurnZero reports that 60% of companies that have Customer Success management teams have created them in the last two years. Though these stats come from two isolated studies, logic would suggest this can’t be a mere coincidence – and that Customer Success is certainly no buzzword simply passing through marketing lingo land. But it’s not just about building a Customer Success Team. It’s critical to weave customer-centricity into your organizational culture – and everyone from Marketing, Sales, Client Services, Account Management, you name it, must not only be aware of their impact on the customer but also anticipate the needs of the customer at every stage of their engagement. Again, this goes back to delivering exceptional outcomes and experiences! Customer Success is not just a department; it’s a company-wide commitment. According to Forrester research, only 37% of leaders have a dedicated budget for customer experience improvement initiatives. Customer Success Manager – This role has surged in popularity, and you’d be hard pressed to find a successful SaaS company that hasn’t filled this position. A Customer Success Manager (CSM) must be adept at handling a high growth environment, have an in-depth knowledge of the customer base, and be able to articulate extensive knowledge of the product. Primary responsibilities include maintaining a portfolio of customers in good health, engaging with customers on a regular basis to build rapport, ensuring customers adopt the right tools to meet their needs, and providing coaching and education as the relationship builds. Some may even go as far as to offer a strategic plan to help customers achieve specific goals. Customer Success Analyst – Analysts work with CSMs and customers on the execution of critical tactical activities that contribute to Customer Success. They also focus on data analysis that would contribute to strategic account planning and growth. Perhaps most importantly, employees in this role help CSMs by tracking key metrics in accounts to proactively identify and eliminate churn risk. It’s the job of the Customer Success Analyst to avoid any customer “Code Red” situations. So far we’ve looked at Customer Success through a SaaS-specific lens. But there’s also great opportunity for non-SaaS companies to build meaningful and effective Customer Success programs that drive their businesses forward. We already know that up until now, the line of thinking has been that Customer Success processes are exclusive to SaaS. But what about the rest of us? Can a Customer Success program be adapted for non-SaaS companies? In manufacturing, for example, going lean directly applies here. Lean processes are already operating with the customer in mind: the goal is to reduce waste but also to streamline the customer’s experience and value. With better internal processes comes a better product, and with a better product comes a more loyal customer. The goal in lean manufacturing and Customer Success is the same: to retain the client. Or take professional services; things get a little more complicated when you’re selling something intangible. You already know that what you’re selling is ‘face time,’ or person-to-person consulting, interaction, conversation, knowledge, and advice. This makes any emphasis on Customer Success less of a standardized process and more of an individual goal. When you talk about nurturing and fostering relationships with your clients, you’re talking about creating a product between the two of you. It might not last for more than one set of interactions, but it will allow you to create a lasting impression, during which your client may feel as though the job was done well enough to become your advocate. They’ll recommend you to other people, they’re going to want to see you again if the situation arises, and they’re excited about the help. That also leads to a form of retention, a primary goal of Customer Success. This all applies to the technology industry, too. Apple, for example, found a way to make hardware and software important to people beyond simple necessity. They made it stylish, they made it personal, and when they create a product, they don’t just let it sit on the market. They consistently improve, update, remake, remodel, and rethink what their customers may need based on feedback from previous models. No wonder why they have a fan club! But no matter what industry you’re in, everything under the Customer Success umbrella needs to operate with one goal in mind: to make sure the customer sticks with you. So why hasn’t Customer Success bounced over the SaaS border yet? The simple answer is that it’s because your typical Customer Success program was originally designed with SaaS in mind – specifically to work within the “subscription economy” we mentioned before. That being said, while it’s a data-focused process that was originally tailored to the needs of software companies, the importance of the numbers is nothing new to business. Success has always been quantifiable to some extent. Customer Success metrics are similar to those you might already be using to monitor your relationship with your customers, but instead of gauging satisfaction at the end, Customer Success analytics are proactive and predictive. We talk about “operationalizing” Customer Success later in this guide, including steps to help you along in your Customer Success journey. But while we’re here, we’ll give you a little bit of a head start on what Customer Success might look like in your industry. 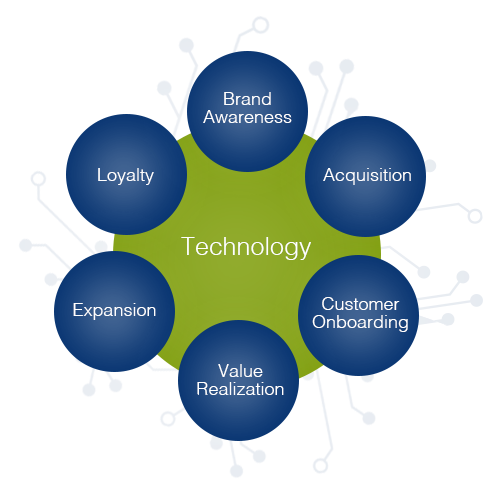 Technology; Customer Success is grounded in analytics. A company-wide adoption of metrics and processes focused on not only outcomes but also on the “health” of the client along the journey. The appropriate Customer Success software to help you collect the data you need to monitor that “health” we were talking about earlier (check out our Tips and Operationalizing sections to see some of your technology options). And, again, and perhaps most importantly, someone responsible: a Customer Success Team. Changing the way you think about the customer experience is more than a one-man job (though it can start as one). At the very least, your company needs to have a person or a collection of people who are solely dedicated to monitoring the customer on their journey with your company. First, your customer will have the opportunity to create a relationship with a member of your team. This opportunity is integral to making your Customer Success strategy work; if you give someone a name and face to respond to, to ask questions, and to thank or complain to, it’s more likely that they will want to advocate for you. Which leads us to our second reason: a healthy Customer Success process turns your customer into something more than a means to an end – rather, they become part of the internal sales process, and therefore they become important to your company’s functioning on all levels, not just in the end sell. Customer Success works not only because it promotes a process that is rooted in proactivity, but also because it is predictive – it looks at all of the possible problems a customer might have and accounts for them beforehand. Yes, Customer Success heavily relies on contextual evidence and user data, but it also requires a dedicated group of people – your Customer Success Team – whose job is to be one step ahead at all times. Okay, so a lot of this may sound familiar. That’s because you’re probably already doing things for Customer Success without actually labeling them as such. Sure, you monitor the customer experience. You make sure that they’re happy with the product you’ve delivered. Or maybe you regroup and reassess your service strategy in response to a customer’s critique. In some ways, Customer Success is really, really good customer service, and that’s something that every company and industry should have a handle on. But Customer Success is not a facet of customer satisfaction, nor can “customer service” fully encompass this new term. Customer satisfaction is a measurement made post-sale or post-problem, and customer service is reactive – it addresses an issue after it’s brought up. Customer Success, on the other hand, is proactive. In that same line of thinking, there are plenty of things that Customer Success is not. A customer support department, again, is reactive. Essentially a hotline put in place to help customers with problems, there are a few troubling theoretical issues with a customer support department that Customer Success resolves. First, the necessity for a company to have a support department implies that things with the product WILL go wrong, or that directions for the product aren’t clear enough for the user to understand them. It also plays on the idea that the customer can’t do it all on their own. That’s an issue, especially if the idea is that the customer is always right. Customer advocacy is the first cousin of Customer Success – in the family, but not close enough to be in the will. It’s a form of customer service that is customer-focused, yes, and many did hail customer advocacy as a cultural change within a company when it became a common practice. But it’s more of a passive change. It gives power to the customer, but can operate at the expense of the company (that includes recommending a competitor’s product if the company believes it’s better for the customer). Any company that’s been around long enough knows that sometimes sales is like matchmaking, and not every prospect is going to be a good fit. But a Customer Success Team and process ensures that in most cases, you won’t have to recommend a competitor’s product; you already know the pain points of your customers, and you’re already working to service them. If customer advocacy is a cousin, customer relationship management (CRM) is a brother. Reliant on software to measure the effectiveness of the points of contact between the customer and the company, CRM is also focused on helping to retain the customer, as well as amping up revenue and improving business relationships. However, customer relationship management refers to a collection of tools and technologies, not a process. Customer service is great, but it’s kind of a dinosaur. Sure, there are plenty of great aspects to having a customer service team – there needs to be someone available to answer questions and fix problems. But it’s outdated. Not only that, but customer service is completely reactive. Customer service is case-by-case and is defined by short-term goals. It's meant to make sure that there's as little churn as possible, but it doesn’t look much farther than making sure a customer’s problems are fixed only after they occur. The overarching goal of a customer service department is to strive for customer satisfaction (Satisfied customers are great! But satisfaction is only contentment). Customer Success addresses many of the same jobs as customer service, but the main difference is that it takes a proactive approach. For the Success Team, satisfaction is just a baseline. They’re able to look at the long-term results for their clients and their business. By looking ahead, these teams provide customers with a roadmap to success. Having this map allows the Success Team to identify ways clients could use their services more effectively and spot any red flags in advance. Defining customer experience is the byproduct of a Customer Success strategy. A positive customer experience is what you want to get out of a smooth running Customer Success plan. Customer Experience (in terms of its roots in SaaS) is also tightly tied to user experience – the interaction between the user and the software they are working with. But Customer Success is more broad than that. Once Customer Success is made a priority, you’ll begin to see the ways in which it starts to change your business. It will transform your sales process – and it will make you hyper aware of the customer’s needs, not just the methodology behind attracting them. But the ultimate goal is to use Customer Success insights to transform your product or service. That will result from the collaborative efforts between you and your clients, taking data from the entirety of your customer interactions, pre and post-sale, to begin to predict what needs to be improved about your product or service and what should be kept as it is. The greatest impact, however, should be on your services (and this means customer service, too). The implementation of a Customer Success plan should inspire a change in each individual working in your company – at least those who are dedicated to the cause. There’s a lot that Customer Success can do for your business. The next step is to figure out how to implement it! To identify the proper way to shift your business from offering customer support to providing Customer Success isn’t exactly simple. If there were a set of rules for everyone to follow, Customer Success implementation would be easy-peasy – but alas, every industry (and even every business within an industry) is likely going to approach Customer Success differently. That’s okay! Still, there are a few universal best practices to keep in mind when you are looking to make the change over to a Customer Success-focused strategy. To ensure that your customer achieves their goals while using your product or service, you will need to create your own guidelines for success. But always remember: the customer is your most significant asset. By always putting the client first, you are already on the right track. What do you want out of this sale? What does your client want? How can you two benefit each other during the time you’re working together? It really is like dating – once you decide you’re compatible, having clear communication from the get-go will make your partnership much more fruitful. Plus, the objective is that you will no longer simply be answering troubleshooting questions for your client; you’ll be in sync. Like we mentioned before, forming relationships will allow your customer to see what your company’s culture is like to ensure that it will be a good fit for them, as well as for you. You will be able to move efficiently and with purpose once a goal is defined. If you are trying to make Customer Success a part of your company culture, you must have a Customer Success Team. Your Success Team is another resource for your clients. Although they are trying to identify and solve problems before they happen, there are still going to be plenty of questions that arise. Having people there to be a resource for your clients will make getting questions answered a piece of cake. Ultimately, the goal of your Customer Success Team is to mesh proactive and reactive support. Working proactively to try to set a plan, stop any red flags, and provide resources is crucial. Yet, when problems do arise, working reactively to fix them and move forward is needed. By ensuring your customer's success, you achieve customer satisfaction, gain customer loyalty, and generate revenue through growth and referrals for your company. Sound good? We think so. Satisfaction does not translate to loyalty. A customer being satisfied with your product is no longer enough. When we talk about success, the meaning is two-fold: you have a successful relationship that lasts longer than the sale with your client, and your client gains something from the relationship that’s more than a product or a service. But it’s the client’s success that you need to focus most of your energy on. For your company to grow, clients must be successful. A successful client—one who reaches all of their goals—is going to be satisfied, so strive to go that extra mile to achieve loyalty. One thing to keep in mind is that Customer Success is extremely subjective. Every industry has a different perception of what success is. Furthermore, every company is going to have a different idea of what they want success to mean. A more specific way to think about it is to first define what success means for your business. Then, looking at the stages that your customer is going through on their journey with you, decide what you need to do at each stage in order to make them feel like they have a say in your process (and they should). Making your guidelines dynamic and collaborative can help you shape them to each customer’s individual needs, while maintaining your overarching goals: success and retention. Having clear goals, a course of action, and working proactively and reliably will help you and your customers achieve their desired outcome. And who doesn’t want to be in charge of their own buying destiny? Just like the components of Customer Success, the program that every company creates is going to be different. Regardless of your industry, however, the Customer Success program you create should be centralized around one thing: the needs of the customer. You are going to need to understand your customers – and we mean really understand them, not just on the basis of preference but in terms of numbers as well. Where does their engagement falter? How long does it take to typically close a deal? What are the issues that your customers and clients face most often? Look inside their minds: by knowing their industry, dynamics, workflow and how each individual you work with is motivated, you will be able to start understanding what you need to do to help them. Okay, all that’s great, but what should you do to get started? Having an adaptable program will be helpful. When clients come to you to buy your product or service, they are looking beyond just the thing you are selling. Customers are looking to buy the benefit they will enjoy from your product or service, plus the support that is going to come along with it. When moving ahead with your objectives, there needs to be room for adaptation. Sometimes things do not go entirely as planned, and that’s okay! As long as there is room to change and plenty of open communication, there will be a solution. Remember, it is not what the customer is doing for your company, but rather what your company is doing for the customer! It is also possible to think about Customer Success programs in an extremely simple manner. Look at airline companies. They provide incentives to their customers by offering frequent flyer miles. The more often you travel with the same airline, the more likely you are to acquire points and receive a discount. You get more loyal customers who, in turn, are happy travelers – it’s a win-win! An even simpler program could be creating a sweepstakes or contest to give clients a prize. These types of incentives may not be right for your Customer Success program, but there’s something to be said for simplicity and fun. Your customers are human. Give them an opportunity to be excited! The metrics you choose must be obtainable. There are plenty of things you probably wish you could measure about your company, but you must have the proper systems in place to gather the desired information. If it isn’t something you can truly measure or obtain, it can't be one of the metrics you use to measure success. It seems obvious, sure, but plenty of companies waste money and resources on tools they don’t necessarily need for metrics that don’t necessarily apply to them. Base your metrics on your business goals. Are you looking for more renewals, usage, views, downloads or email engagement? Are you looking internally to measure success by when clients pay? Choosing KPIs (key performance indicators) that accurately reflect your company’s services and performance is crucial. Example: if you don't regularly send out emails, looking at open and click rates will be useless. By determining your business's best practices, you will be able to find areas that stand out as important to measure. Examine past behaviors. Comparing new activity to a previous behavior will help you truly see what’s happening. For example, if you notice a customer is not opening any of the emails you send out, but one year ago they were opening and engaging with all of them, that's likely a red flag. That specific metric of email engagement might suggest that your content is no longer interesting, that the customer is no longer invested in your services, or that something about what they are receiving is leaving them less than satisfied. Churn rate refers to the rate at which customers stop subscribing to or using a service or product. Churn in a company is natural to some degree. People will outgrow your services, find another plan, go out of business, etc. But if your churn rate does not fall within 5-7% annually, you may need to consider the happiness of your clients. Is there something specific that is going wrong with customers that you need to fix? If your churn rate is high, it may be a sign that customers are not being as successful with your product or service as they were hoping to be. One great and quantitative way to measure customer satisfaction is with a Net Promoter Score® survey (or NPS® survey). An NPS survey enables a client to rate their satisfaction with your product or service—and rate how likely they are to recommend your services. These scales can be set anywhere from -100 to 100, but typically will be set around the 1-10 range (1 meaning you are very unsatisfied / very unlikely to recommend and 10 meaning you are very satisfied / very likely to recommend). Given these numbers, it becomes very obvious whether or not you are performing to the best of your best abilities, not to mention meeting client expectations. Remember, everything we do in Customer Success is to keep the client around. But how do you apply these metrics and tactics to an actual process? Who owns what part of the Customer Success journey? 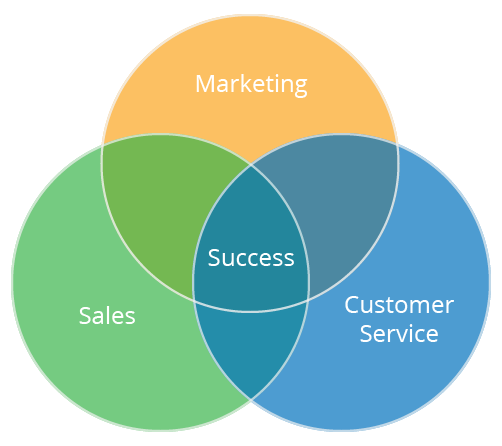 Let’s examine the Customer Success Methodology in greater detail. Though Customer Success has a very different function than Sales and Marketing, the three disciplines share a lot in common and need to work together to attract, convert, close, and delight customers. Here we will provide a framework for a Customer Success Methodology to explain which job function “owns” each part of the methodology and how the other groups support activities conducted in each stage. To illustrate the integral role of your Marketing, Sales and Customer Service functions, consider where an effective marketing program begins – that is, as we said above, with understanding your customers. What does your best customer look like? What is the initial value of a sale? How long do you retain customers? How do you currently upsell or cross-sell to customers? Do you have existing customers that could or should be using more of your services / products / tool set? So, from the outset of our engagement with one of our clients, we’re immediately talking about the importance of engaging with—and marketing to—customers. We’re also working with Sales to help make their job of selling to existing customers easier and more streamlined. But if Marketing is already doing this, what additional role does Customer Success play? Marketing is the process of creating awareness of your offerings to your customer base. Sales is nurturing a relationship so they buy more. Customer Success is proactively managing your client's experience with your company. @PMGTweets #CustomerSuccess is *proactively* managing your client's experience with your company. Customer Success involves more than making sure customers stay happy – it’s about managing that happiness and mapping out a path that leads to recurring revenue and repeat business. The drive to understand the customer wherever they are has evolved from a marketing priority to a top business concern. 89% of leading brands say it is critical to their growth that they anticipate customer needs and provide assistive experiences along the consumer journey. Earlier we talked about the history and evolution of Customer Success in SaaS and we discussed the importance of this concept to other types of businesses. Here we discuss a Customer Success Methodology. This provides a framework to consider some of the aspects of understanding and defining a customer’s journey that’s unique to your business. Keep in mind, this methodology is not the customer journey; rather, it is the approach you want to take to understanding all the touchpoints along the journey so you can think about who needs to be involved, what you need to plan for, and how you might measure success. Later we will add a journey framework as an example, but for now, let’s keep it simple. First, we will start with the definition of a customer journey so you can understand how it differs from the Methodology. A customer journey maps your customers’ experiences with your brand or business and allows you to understand the major milestones and experiences customers have with your company. In addition to milestones, an effective customer journey map defines metrics for each stage, identifies what might go wrong in the stage and provides a proactive plan for keeping things on track. Because Customer Success is the proactive management of customers, knowing the ins and outs of this journey allows you to “intercept” a customer before they are unhappy (or at least before they are so unhappy that they are considering alternatives to your solutions). It allows you to manage the customer through their lifecycle rather than just checking in to see if they’re happy and then asking for more business. Some say that the customer journey starts with your first engagement with a client. We disagree. Your customer’s journey starts with their first interaction with your brand. Keep in mind, prospects are coming to the table much more educated and aware than they were 10 (even five) years ago. They’ve searched for a solution to their challenge and they’ve looked at options to solve their problem. As a result, buyers are more in control of the sales process than ever before. Their first interaction with your brand happened long before they spoke to a sales person. @PMGTweets Being nearly 60% through the #sales process before engaging a sales rep, today’s buyers are more in control than ever before. For now, the most important point about defining your customer journey is to make sure it is not built to mimic your service or product delivery process. Start by imagining you are the customer. (WAIT! Better yet, start by actually talking to real customers!) This outside-in view will help you understand what it’s like to do business with your company – and will help you feel your customer’s pain points – so you can create plans to remove barriers to doing business with you. He suggests that defining your customer journey should start by looking at success milestones. Success milestones are not the journey, but rather the milestones that steer your customers toward their desired outcome and help you keep their goals in mind. The small circles represent the stages in which customers experience your brand or business. At each stage, there is a two-fold challenge: first, the customers’ expectations are going to be different, and second, you must take into account your expectations of what you want to accomplish. Understanding and proactively improving the experience at each stage contributes to Customer Success. As you define your customer journey, you must understand your customers’ expectations and desired outcomes at each stage. This is the first time a prospective customer interacts with your brand. It is Marketing’s job to provide a positive and consistent experience as customers learn about your solutions. Although an inconsistent or negative experience likely means the journey will end, there are situations in which it can still move forward. Example: the decision maker has a positive experience but the primary contact does not. This does, however, create a barrier in the potential for long-term success. In this stage, which aligns with the inbound methodology stages of Attract and Convert, you are nurturing and qualifying potential customers that you can help. It is critical that you have a clear definition of what makes a customer a good fit. As people move through this stage and begin interacting with sales, they become part of the entire experience. If Sales and Marketing are treating all people as equal (not qualifying and segmenting them further), this will create challenges down the road for the Customer Success Team. Sales is now leading the charge, learning more about the prospective client’s needs, discussing pricing, sharing details about how your company works, and setting expectations about results that need to be met by your product and service delivery team. This stage aligns with the inbound methodology stage of Close. It is critical that sales and Customer Success are in alignment not only about the experience of working with the company, but also about what can realistically be delivered when and for how much. We’ve heard it this way: “Sales sells the dream and Operations lives the nightmare.” If Sales, Marketing and Customer Success are not aligned from the very beginning, you are setting yourself up for client retention problems. You must be able to deliver what Sales promises. It sounds simple, but we can’t tell you how many times we’ve seen a disconnect between Sales and Operations. As a sales conversation progresses, we strongly recommend that Operations gets pulled in. This will help to share the knowledge that the team will need to deliver, ensures proper expectations are set, and helps smooth the transition during onboarding. Many companies want to avoid overlap; they don’t want to take people who are delivering for other customers away from that work to be involved in a sale that might not close. This is a mistake. During this stage, strong relationships need to be built with the sales person – people buy from people – and if this person is going to play a lesser role during product or service delivery, people get frustrated. Your prospective client is investing a lot of time and energy into educating your sales person on their goals and needs. We’ve found that the smoothest transition from acquisition to onboarding is to have Operations (Customer Success) get involved towards the end of the sales process and have Sales stay involved in the beginning of the onboarding stage. This stage is a critical tipping point. As noted previously, your client shared a lot of information with Sales and, ideally, built a strong relationship with their sales person. They made the decision to work with you and they’re excited. In this stage, they move from being a prospect to a customer, and from being told what they can expect to experiencing it. You do not want buyer’s remorse to set in, and you can prevent that by ensuring there is a smooth onboarding process. At this stage, most companies are investing in their client and the relationship, spending more time and attention than is likely scoped in the pricing that’s given. Though this investment needs to be reasonable, it’s also the time that your team is learning more about the client so they can be more efficient down the road. It's hard to recover when things go wrong in the first days of a new customer relationship. This experience stays with clients for a long time. Keep in mind, you have only a small amount of goodwill built with your client (and much of that is likely with the sales team). Here’s where things really heat up. This stage is not just a stepping stone in the journey – it’s an ongoing part of the entire customer journey. What this looks like for your company will be dramatically different than what it looks like for another company. In fact, what this will look like for each individual customer will dramatically differ. You must have a deep understanding of your customer’s desired outcome to make this part of the Methodology a success. Value realization will have many milestones unique to each client. Think of it as a line graph that goes up, may plateau, goes up again, plateaus, may have a dramatic increase, etc. You become more and more entrenched with your client as they discover more and more value from their relationship with you. But that doesn’t mean you can stop paying attention. A lot of companies get complacent here – maybe the customer just regularly adds users, places an order every month, or has renewed their retainer for another year. Still, you need to continually monitor your customer’s satisfaction, constantly relook at their business KPIs, conduct Quarterly Business Reviews (QBRs) to continue to deliver value, and market to your customers so you are always educating and staying top of mind. At this stage, clients can’t imagine doing business with anyone else. They wonder what they did before they worked with you. They refer you to everyone they know. Though the Methodology graphic shows this stage after value realization, keep in mind that it is not linear. You could have had a huge win for your client in the first 90 days that created loyalty, but you must continue helping the client achieve results. Through proactively managing and monitoring your customer’s success, you will know when customers are becoming advocates for your brand or business. Customer Success, Marketing, and Sales need to work together to find the right time to approach customers to act as a referral, to provide a testimonial, to be interviewed for a customer story, and any number of other “evangelist” type of activities. You have been monitoring the health of the relationship. You know where the client is in their value realization lifecycle. You know when you can approach the client to advocate on your behalf. You should also know whether it is the right time to approach the customer to expand its financial relationship with you. For some companies, this is tied to a renewal cycle; for others it might happen any time you can offer more to help the customer realize additional value. Sometimes it comes by understanding changes in the business that dictate when you can grow the relationship or product sales. Whatever environment you are in, “the ask” needs to be timed properly. If this Methodology is employed well, it will help you and your clients in the process of finding a balance between what you want and what they need. While we present this in a straightforward manner, the process doesn’t necessarily have to be linear and should be tailored to both of your specific needs. Some companies, however, need to evaluate themselves before they make Customer Success an integral aspect of their business. The next step is to see if you can fully commit to a company change on this scale. Are you committed to operationalizing Customer Success? There are a few situations that can inspire a company to commit to Customer Success programs. Do any of these sound like your business? You are a SaaS company that has been exposed to Customer Success software as a natural part of the industry. You may have software that you are not fully leveraging or you may be exploring software options and thinking of your overall approach to Customer Success. You are a non-SaaS company that is intrigued by how you may apply Customer Success in your organization. You feel you are already doing parts of Customer Success and that your firm could benefit by formalizing a program. You are struggling to attract and acquire the right customers. This leads to short, frustrating engagements with customers who are not the best fit. Your customers seem satisfied overall, but you frequently get asked to participate in a competitive bid when you are up for renewal or to defend your pricing. You sometimes get reminded of how much they’re paying you and that they are spending a lot for your product or service. You have a good set of customers who seem to be loyal and, luckily, give you no real headaches. But you know that they have no idea of all the additional products and services you could offer them. Sometimes your account or sales teams reach out to do a bit of cross-selling or upselling, but there is no strategic approach or process. You get very few referrals from clients. Sure, the occasional “I gave your name to my colleague” happens, but you have a sense that there is more business to be earned from your existing base. When a prospect asks for a client reference, you wing it and use the few tried and true clients who are always willing to help. But like referrals, you feel like other clients could be potentially good references for you if they were asked. Your renewal rate is not as strong as you’d like. You are confident your clients get great service and support when they reach out for assistance, and you know you deliver a quality product or service, but there just seems to be opportunity for longer engagements and stronger loyalty. If you recognize your organization in any of these scenarios, you are a good candidate to consider a Customer Success Program. You’ll need to be fully committed for your business to be able to create and sustain an effective Customer Success program. It’s an “All Aboard!” kind of effort, for sure. As with any company-wide initiative, you’ll want to include input and ideas from people working in every area of the business, from Sales and Marketing to Services and Operations, from Finance and IT to Shipping and Human Resources. Your success with customers ultimately depends on people in every department to embrace their unique role in the program. Creating a Customer Success Team with representatives from each area of your business is a great first step. This group can help ensure that you build the four core organizational requirements successfully. 1. Start with a clear strategy statement. Without a focused goal, it becomes too easy to veer off course, get distracted by the urgent over the important, and struggle to gain momentum. Starting with a clear strategy for your Customer Success program is critical. What do we want to achieve as an organization? Knowing what your company is looking to accomplish and where you are starting from is imperative. Assess your current situation as an organization and how an effective Customer Success Program will help you move toward your overall goals, whether it be higher revenue, higher retention rates, higher profitability or something else. How will an effective Customer Success Program help us achieve our goals? 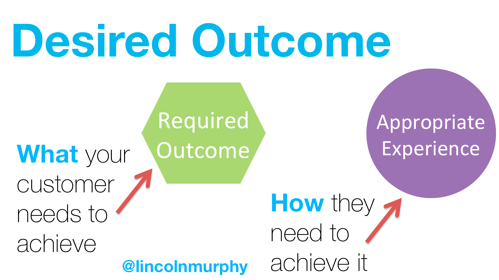 What are some outcomes and experiences your business delivers – or could deliver – to customers? Knowing that each customer is unique and will have specific outcome and experience needs, it's still a good idea to brainstorm some general outcomes your firm is positioned to deliver and the overall experience you hope your company can provide to customers. Clarifying some vision around this helps your team see what the Customer Success Program will ultimately look like across your organization. Once you’ve answered these questions, you’re ready for a strategy statement. The best strategies are brief and direct, and can even be created in a MadLib style of fill in the blank. Try this or a variation that works for you. 2. Identify metrics you will track and monitor as you go. With a clear strategy for your Customer Success Program, it will be easy to see what success looks like and the metrics you’ll want to track. Some traditional items to track include the lifetime value of your customers, customer retention rates, customer acquisition costs, and NPS scores. You’ll want to identify the most important metrics for your program and then get your baselines for each. Knowing where you are starting from will help you set realistic goals. 3. Commit to creating and rewarding a culture of Customer Success. It’s probably not the best term to call your Customer Success Program a program. It is not a time bound campaign or a one-time event. To work as intended, your Customer Success Program depends on creating a culture of Customer Success at every level of the organization. Without buy-in from the top and a commitment across the company, your program will falter. Once again, Customer Success is not customer service, and it’s not customer support. It is a company program that focuses on proactively working toward desired customer outcomes and delivering positive experiences at every stage of the relationship. It’s likely that you’ll have to review your job descriptions, performance review processes, and incentive and bonus programs to ensure that your people are clear on how Customer Success is part of their individual positions and how they will be measured and rewarded. 4. Build and sustain an infrastructure that supports Customer Success. Once you have a Customer Success strategy and a commitment to creating a culture that communicates, recognizes, and rewards Success consistently, it’s time to make sure that your organizational structure offers the foundation to build and sustain an effective program. The right people in the right seats to deliver the outcomes and experiences you are looking to create in your program. The appropriate technology and systems to inform, monitor, and automate your efforts. The processes to ensure that everyone is clear on the components of your program and how to execute them successfully. Every good program starts with and relies on people to get it right – to create the best strategy, define the tactics to achieve the strategy, implement the tactics effectively, and measure results along the way. Customer Success is no exception. Structuring your various teams and the company as a whole is an integral part of building an infrastructure for Customer Success. As you become familiar with all that is involved in helping your customers succeed with your organization, you may realize that you have people in the wrong roles or you have roles that need to be filled. Maybe you need a Director of Customer Success or a Customer Success Manager. Perhaps a Customer Success Consultant could help guide your efforts. Or you may even want to outsource parts of your Customer Success Program. It may be that you want to restructure some existing positions and train the affected individuals in how their job is going to evolve. The evolution of the Customer Success industry has produced a variety of professions, a professional association, and consultants over the past decade or so. Engaging with these experts may help you move your program forward or give you ideas on how to staff for Customer Success. Customer Success software is the most obvious technology associated with this area of business, and we’ll talk about the options you have in that department. But to fully integrate Customer Success throughout your organization will also involve your CRM, finance and accounting, marketing automation, performance management and other systems. It’s important to ensure that your systems provide the information related to your customers achieving desired milestones, showing signs of risk, entering a new stage in their journey with you, etc. so that you can stay proactive in the engagements. For Customer Success software, you have many great options. A good program will help your company build customer profiles and capture data from across your organization – NPS scores, invoice history, and interactions with your firm, for example. It will use historical data to score your customers and help predict future growth or potential risks. And it will scale with your organization as you grow and evolve the program. Other providers ranked well by G2 Crowd include MindTouch, Woopra, and ClientSuccess. Customer Success software is available primarily for SaaS companies, so if you are a non-SasS company looking to adopt a Customer Success Program, you may not find these offerings to fit your business. It’s worth doing some research to see if you can find a solution, however, as the more meaningful data you can capture and leverage, the better your results will be. And it may just be that you use the existing systems within your business to do the job. What technology will never be able to do, however, is replace the power of human beings. Your people will always be the main driver of your Customer Success Program. So you’ve got the people, you’ve got the technology. The final leg of the stool is clear processes and best practices to pull it all together into a strong infrastructure that can be sustained over time. At each stage of your Customer Success Methodology, there will be activities that need to happen and best practices that need to be followed. Document, document, document them! Checklist of all that should happen when onboarding a new customer. This list will naturally involve several departments across your company. A client communications / check-in schedule that aligns with the anticipated achievement of success milestones so you are celebrating these occasions and that also helps you stay ahead of any potential obstacles to the client realizing value from your business. Schedule for client NPS surveys and appropriate follow up so you can identify those clients who may be prime for a testimonial, referral, or customer story. With a clear strategy and metrics to track, a commitment to creating the right culture, and the strength of a solid infrastructure of people, technology and processes, your organization can be on its way to finding great success with Customer Success. Customer Success is not a fad. It’s a new way to understand your customer and yourself as a business or brand. It’s a way to challenge your company to be the best provider. But most of all, it’s a way to combine the foolproof power of metrics and the soft touch of human interaction and understanding. With Customer Success, you can meet your clients in the middle and begin to understand – truly understand – their needs and how you can surpass them. Heck, you can even begin to predict what they will want next! So while we know the implementation process isn’t a one-and-done, this-will-only-take-a-day kind of thing, the commitment to learning how to shift your focus will be worth the extra mile. Change the way you think about your role in helping your customers. If you have any further questions on how that might look for your business, we’re always here to help!